At Ocean View Physiotherapy we are passionate about seeing our patients recover as quickly as possible to get them back to their fitness activities for a healthy lifestyle. As a part of our commitment to giving our patients the best care available, we are continually searching the databases for the most current evidence, to improve our treatment. We want to share the highlights of the latest research with you in a best practice summary & hope this will assist your accurate diagnosis of patients with musculoskeletal injuries. 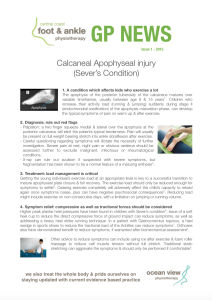 You can download the printable patient handouts as you require them or save them on your system. Feel free to email us or phone us on (02) 4339 2275 with suggestions for future topics, comments or questions. You can also subscribe to GP news by completing the form at the bottom of the page and we will email GP News every time we produce a new article. 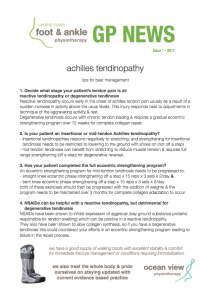 Click above to view GP News on Achilles Tendinopathy. 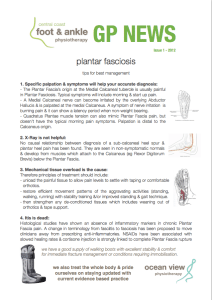 Click above to view GP News on Plantar Fasciosis. 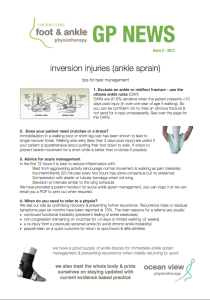 Click above to view GP News on Ankle Sprain. 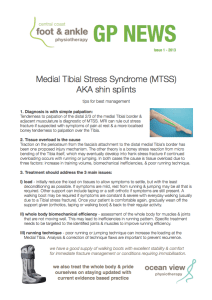 Click above to view GP News on Shin Splints. 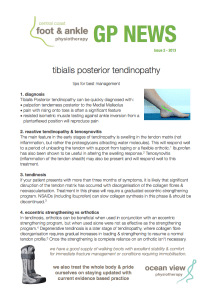 Click above to view GP News on Tibialis Posterior. 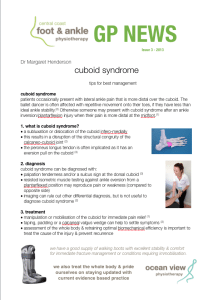 Click above to view GP News on Cuboid. 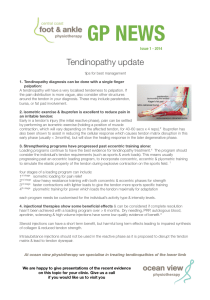 Click above to view GP News on Tendinopathy. 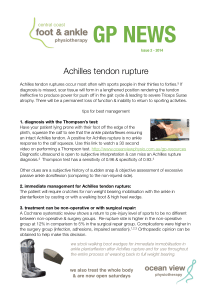 Click above to view GP News on Achilles Tendon Rupture. Click above to view GP News on Severs. 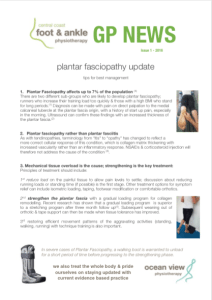 Click above to view GP News on Plantar Fasciopathy. 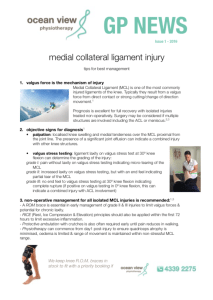 Click above to view GP News on MCL injury. Click above to view GP News on Osgood Schlatters. 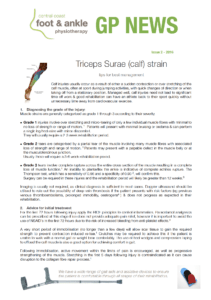 Click above to view GP News on Calf Strains. 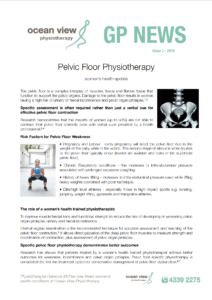 Click above to view GP News on Pelvic Floor. 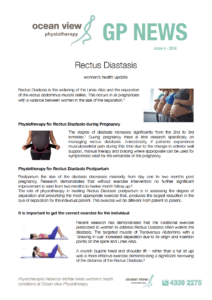 Click above to view GP News on Rectus Diastasis. 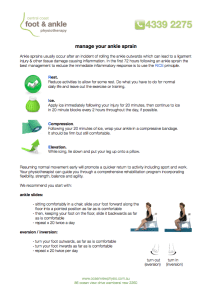 Click above to view patient handout on Ankle Sprain. 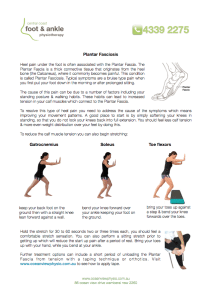 Click above to view patient handout on Plantar Fasciocsis. Need An Urgent Appointment For Your Patient?